Coming December 26, 2014. Spend New Years Eve in exotic Bali. 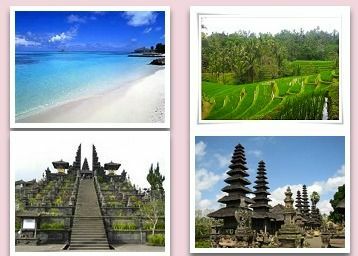 The folks at Women Traveling the World have planned an 8-night adventure on the beautiful island of Bali to celebrate New Years Eve. Highlights include visits to local villages, temples, and a Pearl Farm, participation in a cooking class to create an authentic Balinese lunch, snorkeling through clear blue waters, and treks through jungles, beautiful waterfalls, rice terraces, and the Elephant Safari Park. Ring in the new year Bali-style!